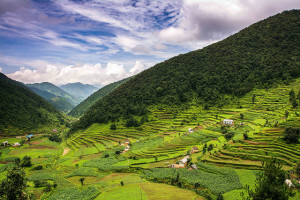 Nine people in the Nawalparasi district of Southwest Nepal have been arrested on charges of murdering a 10 year old boy in what villagers described as a human sacrifice, reports International Business Times. 10 year old Jeevan Kohar was apparently lured by a packet of biscuits and the promise of 50 rupees (78 cents), by Kodai Harijan, a worried father whose son was sick. The suspect, then allegedly slit the boy’s throat, following advice from a shaman who said his sons health would improve as a result of the sacrifice. The shaman (a spiritual healer or ‘witch doctor’) had told Harijan that this would “chase away the evil spirits”. Nine people have been arrested and will be charged with murder. Related story: Planned Parenthood Illegally Selling Fetal Tissue, Say Pro Life Group.